Join one of Europe's oldest online bookies and claim SportingBet's new customer offer and you could walk away with a £10 free bet if your first bet isn't a winner! 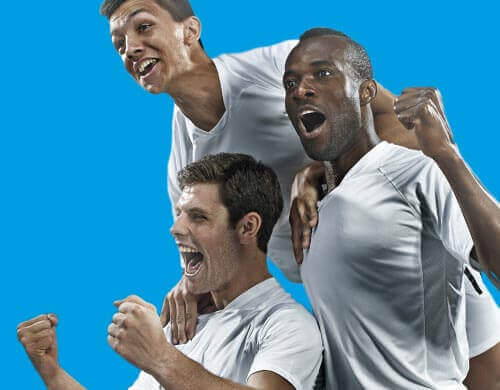 Simply signup as a new customer at SportingBet.com and bet £10 on any sport but horse racing and should it lose, you'll get a £10 free bet credited to your new account. This essentially means that new customers are able to place a first bet at SportingBet that simply can't lose as you'll get moneyback as a free bet if it doesn't win! Plus, don't forget to check SportingBet's promotions page for details of their latest weekly offers including special bonus bets on a range of betting events and markets. 18+. Min deposit £10. Max stake £10. Min Odds 1/1 (2.0). Max free bet £10. Excludes Horse Racing. New players only. 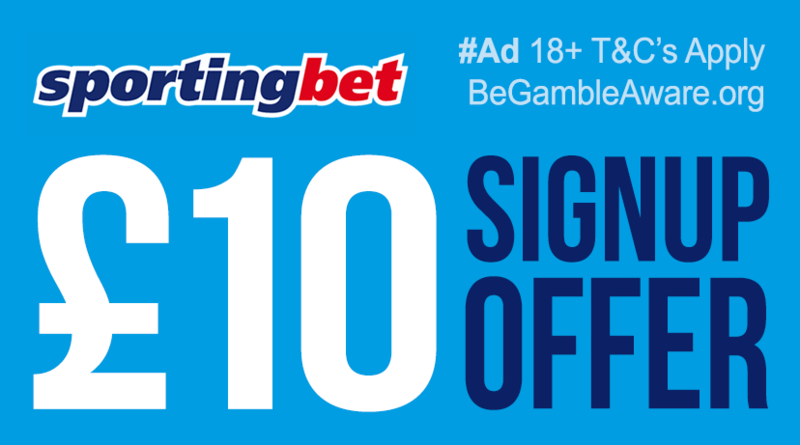 Further T&C's apply, click here to visit SportingBet's website for more information on their new customer offer. European based bookie with history of competitive odds. Poor website compared to other bookies. SportingBet have been around for years with most European punters particularly impressed with the competitive odds that they've consistently offered since they launched. We found that for UK punters, SportingBet offer an impressive 'in-play' betting service, slightly lower market range than most with odds that are usually only beaten by our 'best bookies' and of course online betting exchanges like Betfair. Check out our review of SportingBet in our online bookies section for further info.